With the nation’s unemployment rates at an all time high, there is a career that has long been creating wealth for many people around the world. Even in the wake of the housing crisis, a real estate career has more to offer than most any industry out there. Having a real estate license can open up doors to several different career paths that you might not have considered. When you understand some basic real estate career facts, you’ll realize there is tremendous opportunity in the world of real estate right now. One of the most surprising facts about a real estate career is how quickly you can get started. The educational requirements in many states take only a few weeks to complete and can be done online at whatever pace works for you. Most of the time you can complete your coursework and have your real estate license in less than a month. A largely unknown fact is that you can be ready to earn your first commission in real estate in less time than it takes to complete the registration process at many four-year colleges! One thing that many people already know about the world of real estate is that the potential for income is unparalleled. A lesser known but highly important fact about a career in real estate is that you could take all of the required classes and get a real estate license all for a fraction of the cost of one single college course. Instead of spending tens of thousands of dollars for a degree that might make you more money eventually, you could be starting a lucrative new career with your real estate license in six weeks (or less) for just a few hundred dollars. Another fact to be aware of is that you are not limited to a career in sales. The real estate industry has professionals across many employment spectrums. The sheer number of career choices available with a real estate license makes growth potential in the field almost limitless. Plus, real estate is an industry that can be practiced anywhere in the country. Other states may require additional education to expand your license into another state. 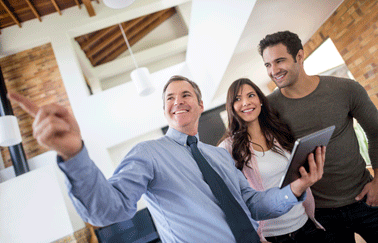 But licensed real estate professionals are in demand all across the country. Not only does a real estate career offer unlimited income possibilities with incredible growth potential, it is a profession that you can take anywhere in the country and still find a job market—especially now that the housing market has begun to turn around. One of the most important real estate career facts is that a career in real estate is one that will give back what you put into it. Those who love the world of real estate excel. And those who excel in real estate make a lot of money doing so. Regardless of the individual career path chosen, those who enjoy success in a real estate also enjoy financial security. Are you ready to start your real estate career? Find out what it takes to get your real estate license in our quick video below.